It’s quite astounding that Apple allowed developers to get their hands on its HomePod firmware when so many secrets were buried inside it. Its code has confirmed all kinds of things about the iPhone 8 so far, including its design and facial recognition technology. Further digging by developer Steve Troughton-Smith has revealed more this week. It seems Apple has redesigned the status bar in iOS to accommodate the iPhone 8’s new display, which will extend to the top edge of the device, surrounding its speaker and camera. Things like cellular signal and time might be displayed on one side of the bar, while indicators for Bluetooth, location, and battery level could appear on the other. “The new status bar seems a lot more complex and powerful in design, maybe even interactive,” Troughton-Smith says. The software has also revealed that iPhone 8 will boast tap to wake functionality. This is a feature found on many Android and Windows Phone devices, which lets you wake the device simply by tapping its screen. It’s handy when there is no physical Home button. 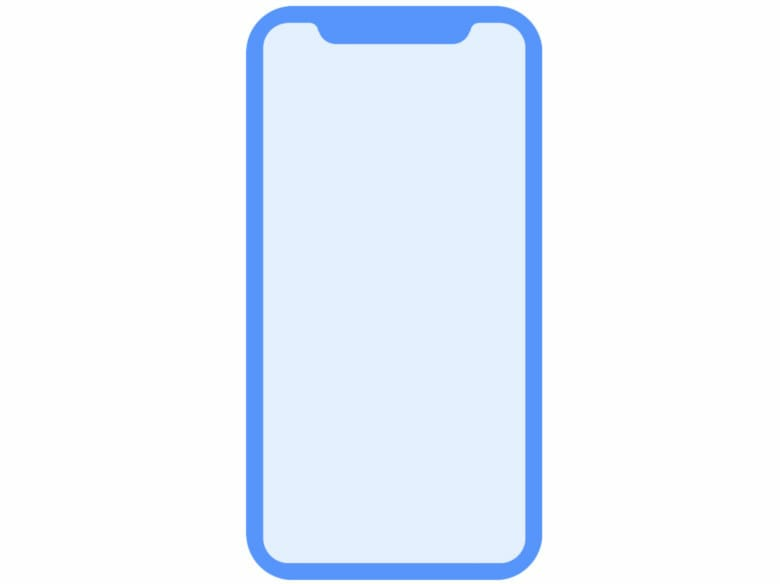 It appears, however, that iPhone 8 will have a “Home Indicator.” It’s believed to be similar to the virtual Home button that appears at the bottom of the display on Android devices, and it looks like Apple will allow developers to hide it in certain contexts. For instance, the Home button indicator might disappear when watching videos or playing games in full screen mode. You might swipe from the bottom of the display to reveal it again, or Apple may take advantage of 3D Touch to make it pressure-sensitive, like on the Galaxy S8. Perhaps the most interesting tidbit so far is that there is no mention of that rumored fingerprint-scanning display Apple has apparently been working on. “I’ve seen nothing to suggest an ultrasound under-the-display Touch ID here,” Troughton-Smith tweeted. He believes the feature won’t come this year, so we can “quash that one.” We still don’t know whether Apple may have relocated the Touch ID sensor — some rumors have claimed it could end up on the iPhone’s back or in its power button — or scrapped it altogether. Finally, HomePod’s firmware includes references to new depth-sensing features for ARKit and Photos. We’re hoping it will reveal more in the coming days as developers dig deeper, but for now, we have a great idea of what iPhone 8 will bring this September.